As I have mentioned many times, I was a picky child when it came to food growing up. Nonetheless, my mother worked around my oddities and still managed to create my favorite dishes. One of my favorites was her french toast. 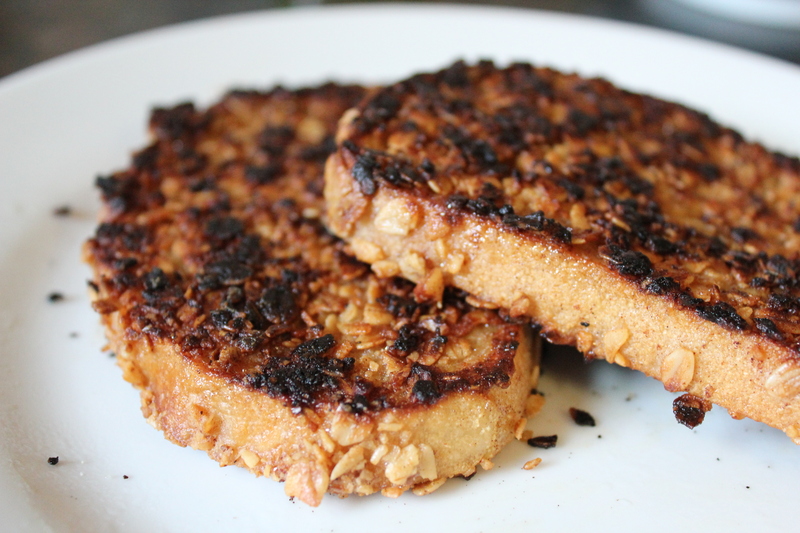 Now, this is not your traditional, soft bread restaurant french toast. In fact, my mother is 100% German, so we have always called it German Toast. 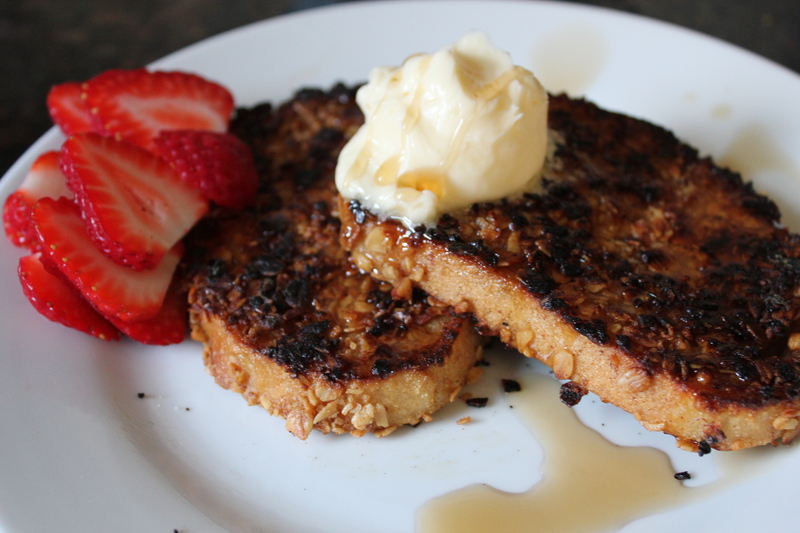 The biggest difference to me between traditional French toast and my mom’s German toast is the extra crunchy texture and dark color (not burnt, but dark!). If this sounds interesting or delicious to you, then you may like todays recipe. 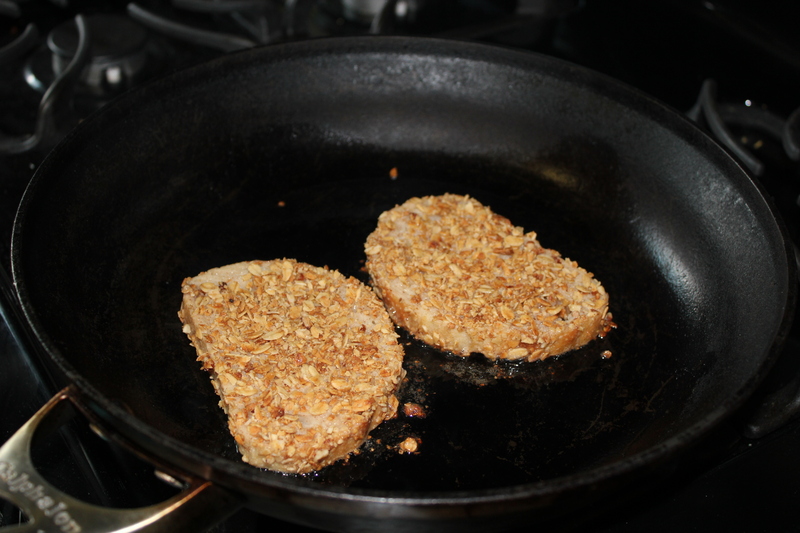 On account of 30 ways to granola, I have decided to take my mom’s french toast base and battered it with granola. Let’s see how it turns out! Let’s start by cracking an egg in a pie pan. Add milk, cinnamon, and sugar into the same pan and mix together. 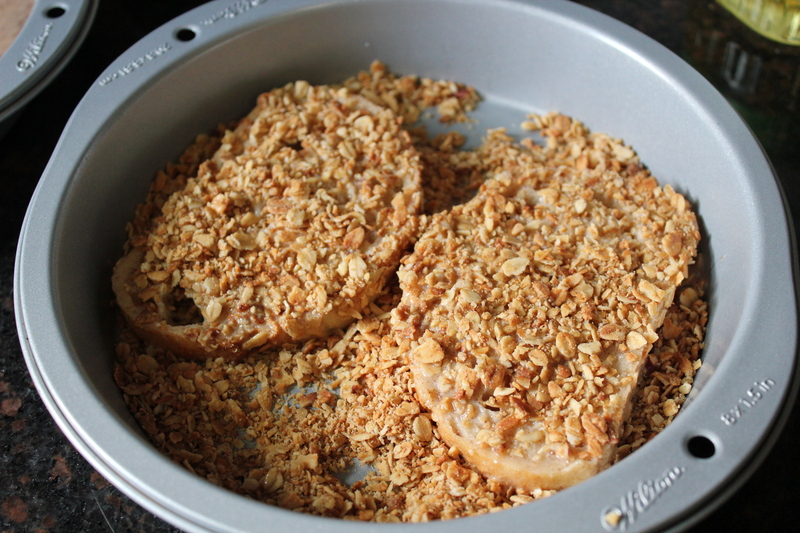 Place granola in another pie pan and set aside. From here, we will dunk both sides of the bread into the cinnamon-milky-egg mixture. 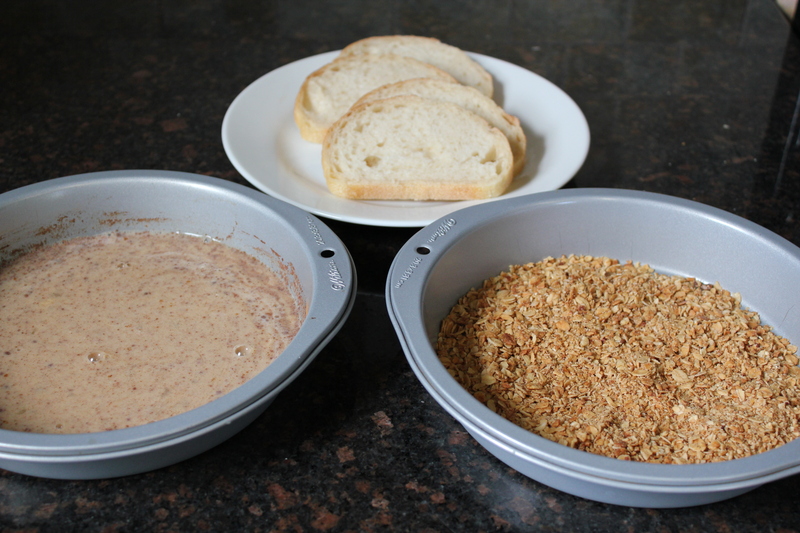 Then, press the soaked bread into the granola. 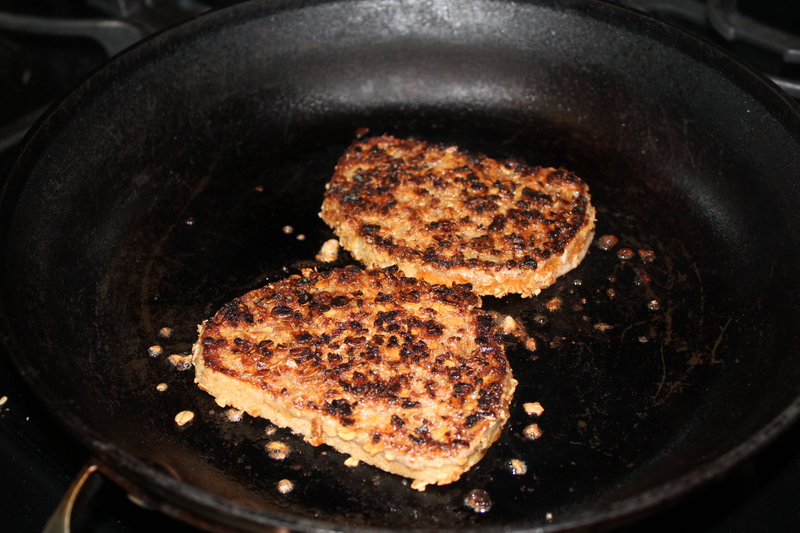 Finally, heat up a pan on high with some vegetable or canola oil. Once hot, add up to 2 slices of bread at one time. Cook for about 3-4 minutes before flipping. Repeat on the second side. 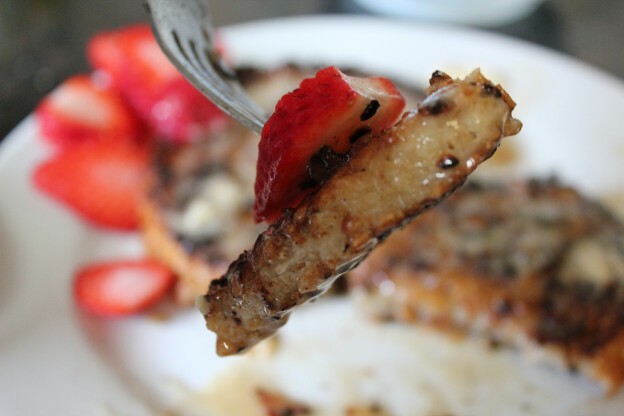 Serve with butter, syrup, and maybe some strawberries for garnish! Yummm!